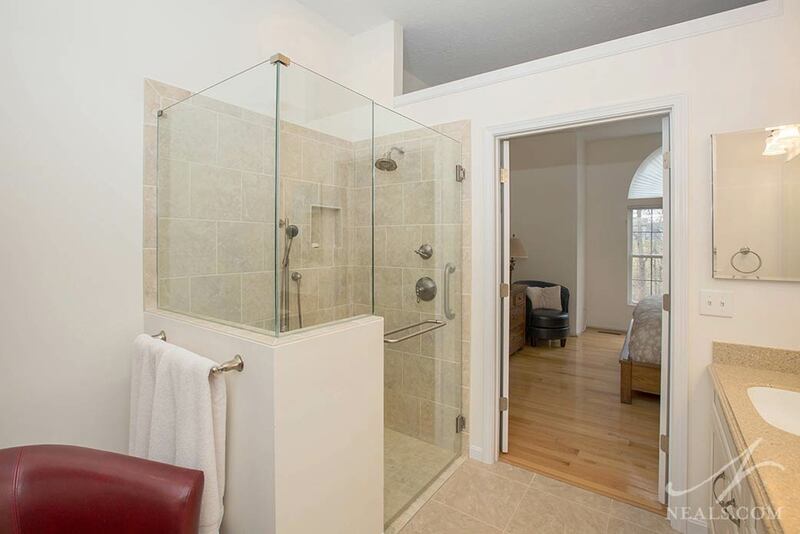 We're seeing it more and more- homeowners deciding to remove the tub in their master bathrooms. 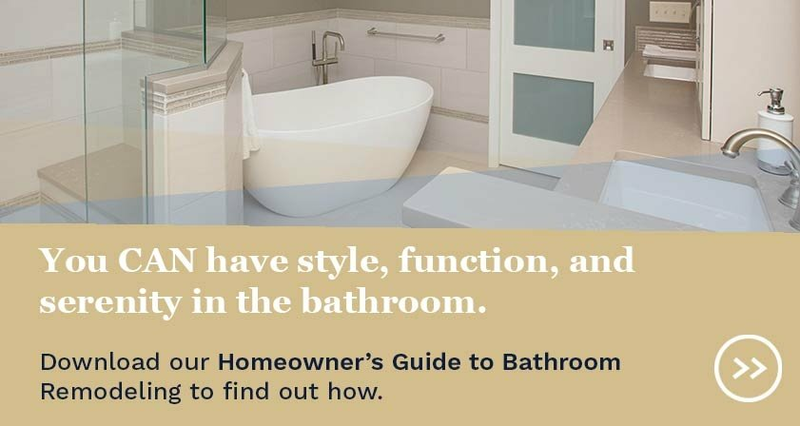 Bathtubs, particularly large jet tubs, used to be the ultimate symbol of luxury, and while statement-making soakers are still in vogue for some homes, other owners are discovering that baths are just not part of their regular routines. 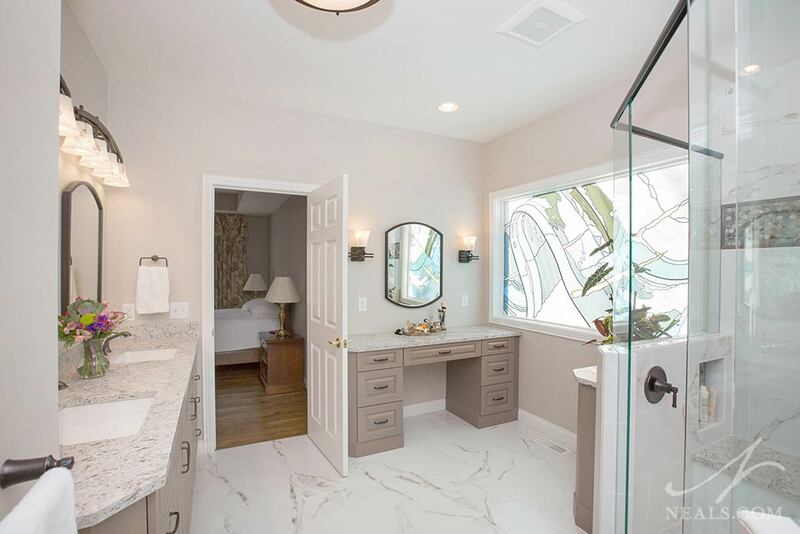 Here are some examples of master bathrooms without a tub, reasons why tubs are removed, and what was done with the space instead. 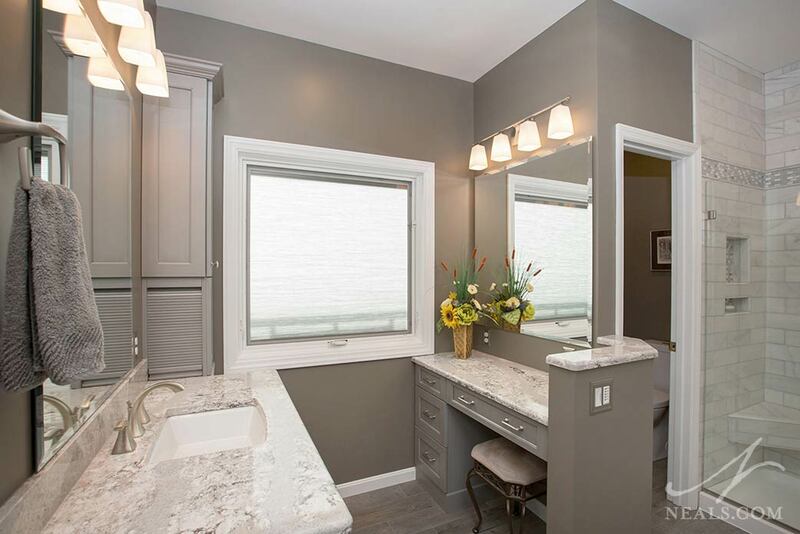 The space left from the removed tub in this Pierce Township bathroom was enough for a second sink and a makeup vanity. Often, the space taken up by an underused tub is seen as prime real estate that can be put to better use. 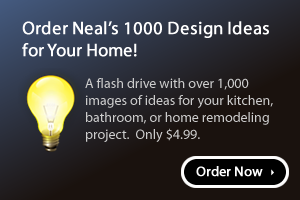 That's an underlying theme in many remodels. The area required for a single built-in tub is roughly equal to a new vanity. For some families, that extra cabinetry is key to creating a bathroom that suits their needs. 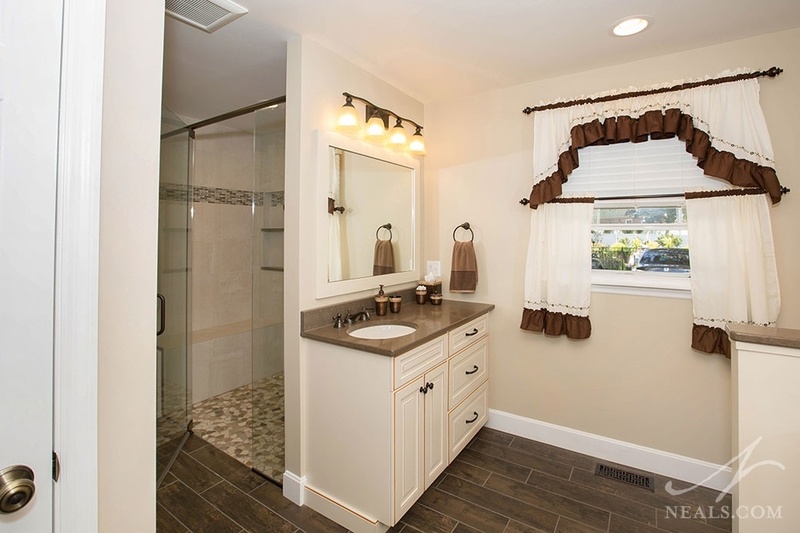 It can mean the difference between a single cramped vanity and a roomier his & hers design. Removing the tub in this Florence bathroom allowed the shower to nearly double in size. This Evendale master bath said no to the tub and instead added useful storage and a convenient place to sit. One side effect to removing a tub is the possibility that a corresponding picture window is left orphaned. One solution many Cincinnati homeowners are opting for is to replace these large windows with stained or artisan glass inserts. This turns the window into an art piece with the benefit of being suitable for the damp, humid environment of the bathroom. 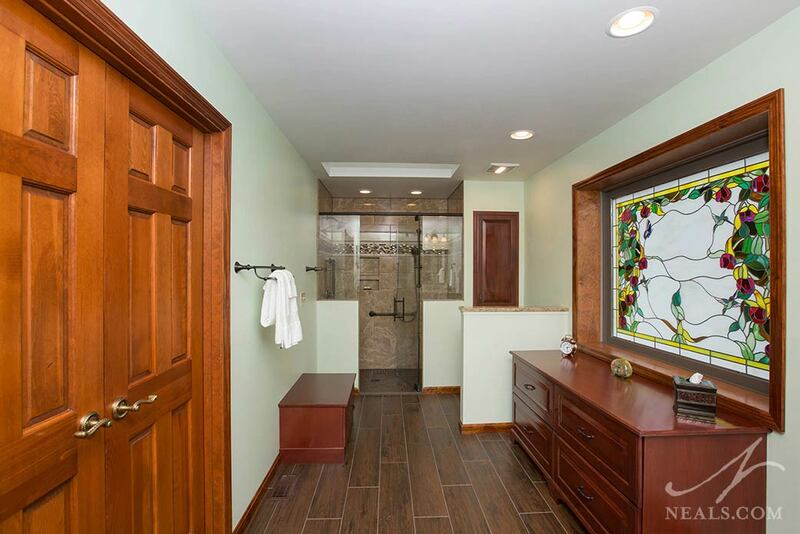 An abstract art piece was installed in this West Chester bathroom to make beautiful use of the large window. In a few cases, homeowners have decided to remove the tub simply because they don't use it, now the space is used in other ways. Even unused tubs require cleaning and upkeep, and a big empty basin can often be an appealing spot for things to be "temporarily" stored but never ultimately put away. The open space created by removing a tub can be used for a bench or seat, a hamper, or even just open floor that helps the bathroom feel more spacious. NOTE: This blog post was originally published on March 27, 2018. It was updated with new photos and revised to include additional design ideas on January 15, 2019.